Are you in need of a little magic in your life? 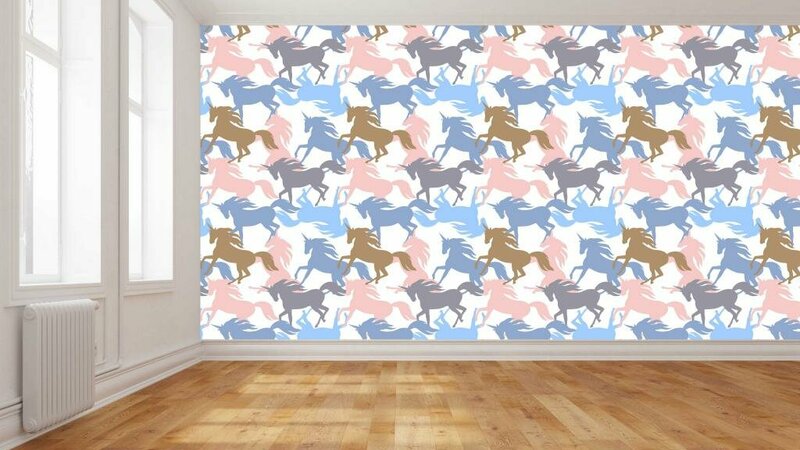 Our inspired unicorn wallpaper collection is a delight for the eyes and a treat for the senses: bright colours, striking poses, and beautiful scenery all brought together with charming graphics! 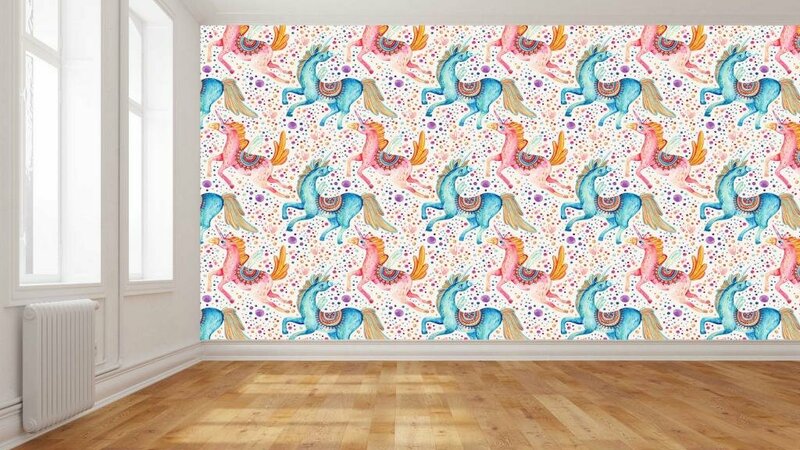 Now, thanks to our beautiful collection of rainbow unicorn wallpaper designs you can transform your space into a magical fantasy land that will delight the imagination. This high-quality colourful range of unicorn wall coverings will transport you to a magical forest hideaway inspired by your dreams. Whether you want to create a pink and pastel paradise or a whimsical fantasy realm, you can be sure to find a design that’s perfect for you. Prepasted HP wallpaper has been specifically designed for easy DIY application and is safe and easy to remove.Learn more about our wallpaper here. 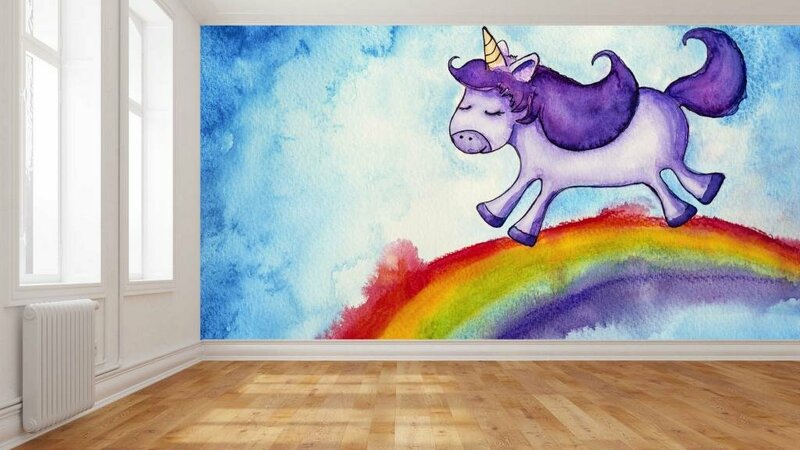 Feel free to browse our gallery below to inspire your new unicorn bedroom wallpaper design today. Can’t find what you’re looking for? 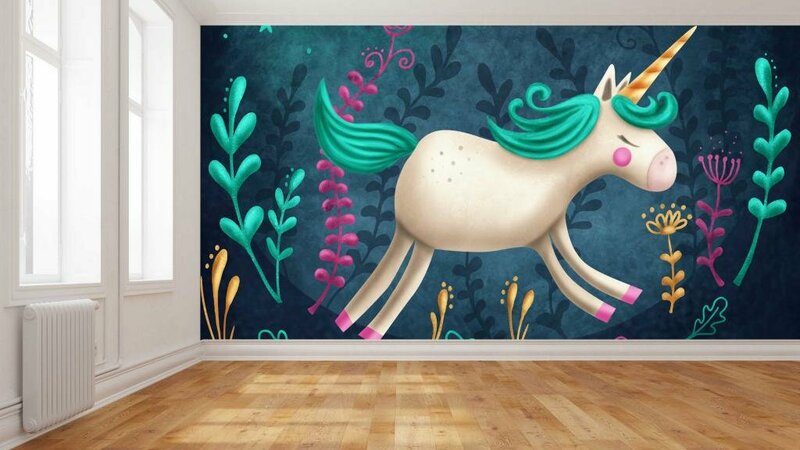 Our online HP design tool lets you reimagine your own images as one-of-a-kind unicorn wallpaper. It also provides access to over 104 million images and patterns for you to play with. 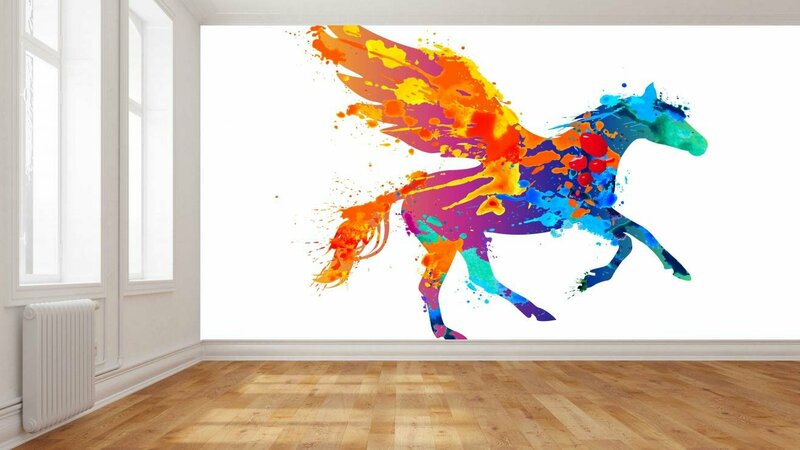 Choose between two safe and durable materials for us to print your kids’ wall murals on. Head here for more details. 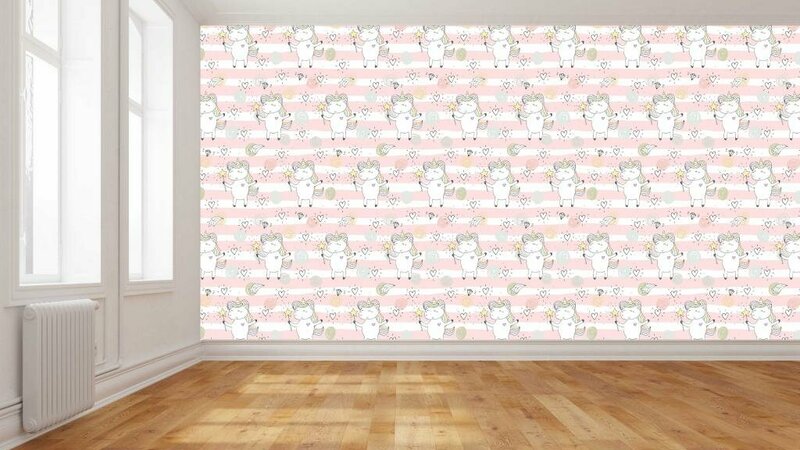 We print our wallpaper on HP Wallpaper. This pre-pasted wallpaper maintains its strong adhesive over time, yet is simple to remove, so your children’s wallpaper can change alongside them. 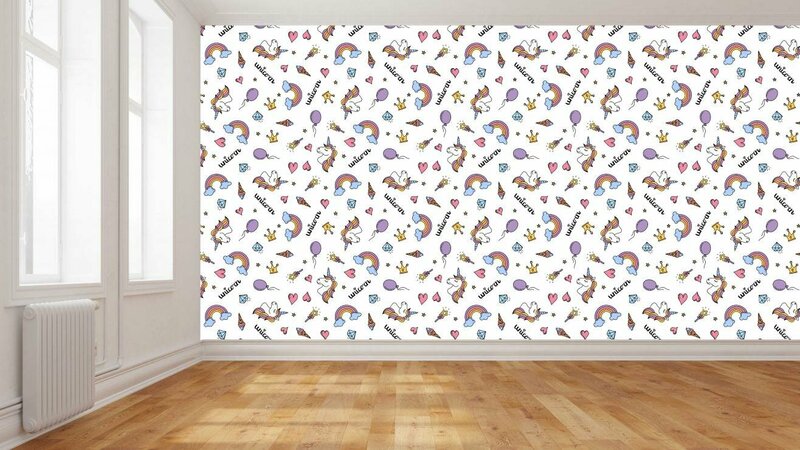 It’s PVC-free, so it’s safe for your kids and grown-ups alike, plus it’s wallet-friendly and suitable for DIY. 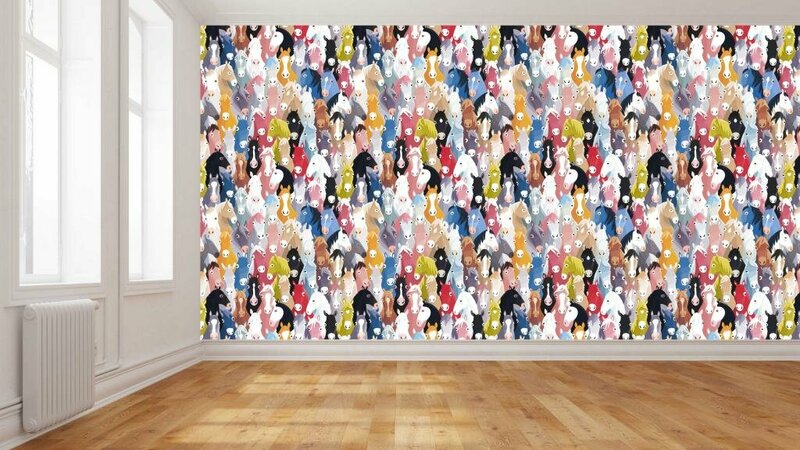 We print our self-adhesive wall coverings on PhotoTex, the market leading self-adhesive fabric in Australia. 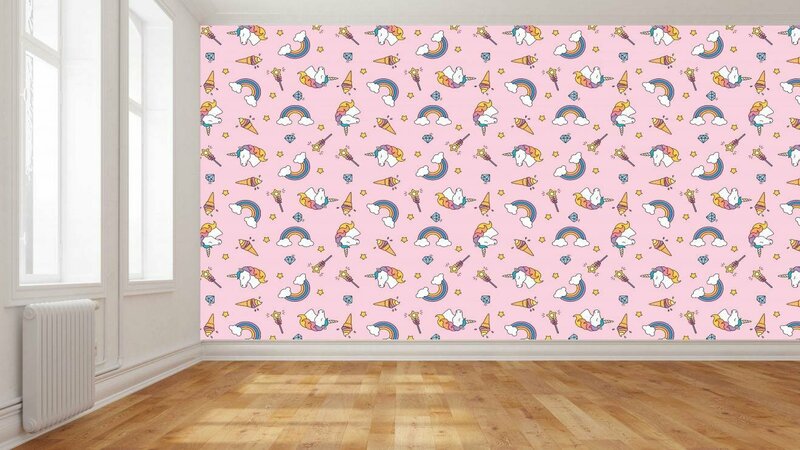 Its ‘peel and stick’ design enables your kids’ wall covering to be easily removed and updated with your new design, so it’s perfect for keeping up with changing preferences. Find out how to install it here. No worries! Call us on (03) 9532 3232 or use our contact form below. For simple solutions in unicorn wallpaper, Australia-wide, we’ve got you covered. 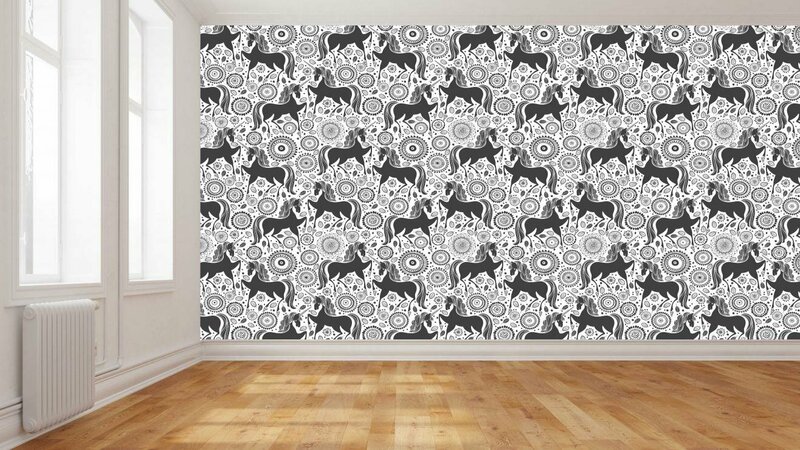 Want to receive a FREE SAMPLE PACK of our wallpaper products?